You are now an Open Water Diver and you wish to increase your knowledge and discover new diving experiences. ACUC offers you many opportunities to do so. We recommend that the next step you take is to do the ACUC Advanced Diver course and after this course, the Rescue Diver course. In this course you will expand on the theory that you learnt in the OWD course. You will also be introduced to some specialty diving, so that you can later decide which specialties you like and which specialty courses you might wish to take. Minimum age is 12 years old. You can also obtain this level by taking an specific number of specialties. You can see the ACUC standards, course contents and requirements for this course in this PDF document. This course is the minimum level to which ACUC recommends all divers should be trained to. You must already be certified as an Advanced Diver. The course will train you to recognise diving problems and emergencies before the occur, and if they occur anyway, then you will learn also how to handle these problems and emergencies. Although not mandatory, ACUC highly recommends that candidates to this course also take the specialties of First Aid Provider and Emergency Oxygen Provider. Minimum age is 16 years old. 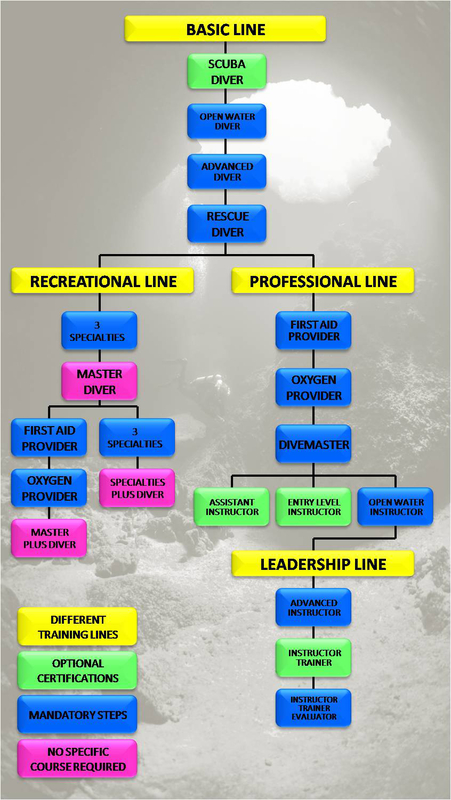 As a Rescue Diver, you may enter the ACUC Professional levels if you wish (See “Turn Professional”), or continue on to obtain the “Master Plus Diver” or the “Specialties Plus Diver” rating (see the ACUC Training Ladder chart). You can see the ACUC standards, course contents and requirements for this course in this PDF document. 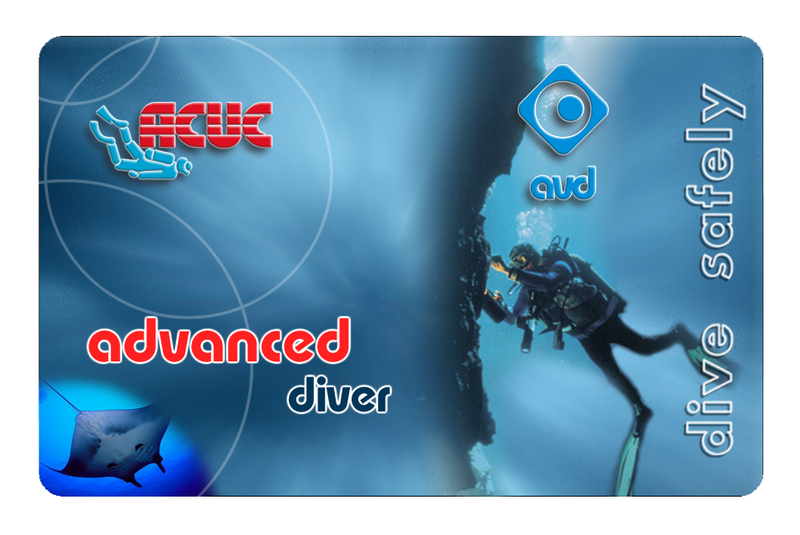 If you are already a diver with another organization and you wish to crossover to ACUC, please see also the ACUC Crossover.